It's less than 30 years since Paul Reed Smith started PRS Guitars, yet it's now one of the biggest guitar builders on the planet. 'My company survives only if there are ten guitars on the wall of a music shop and the customer likes the one we made the best,' Smith explained to Forbes last year. If he's right, an awful lot of customers have liked his guitars the best over the years. Far from just surviving, PRS Guitars has grown and prospered since Smith founded it in 1985, to the point where it turned over $43.5m in 2012. That's still only a shade over a tenth of the turnovers of Fender and Gibson, but for a man who started building guitars in his bedroom only ten years earlier, it's pretty good going. According to Forbes, Smith's first guitar was built from parts acquired from a violin shop in Washington DC. At the time Smith was both playing and making guitars, but was much more successful at the latter. 'If I played guitar, people would run. If I opened the case of a guitar I’d built, people would gather in a crowd, he explained to Forbes. A few years later, Smith did the same thing at a Carlos Santana gig, beginning a relationship that continues today. Santana is rarely seen on stage with anything other than a Paul Reed Smith guitar. Smith's second break was being mentored by the legendary Ted McCarty, who designed the Gibson ES-335, Explorer and Flying V among many other innovations. 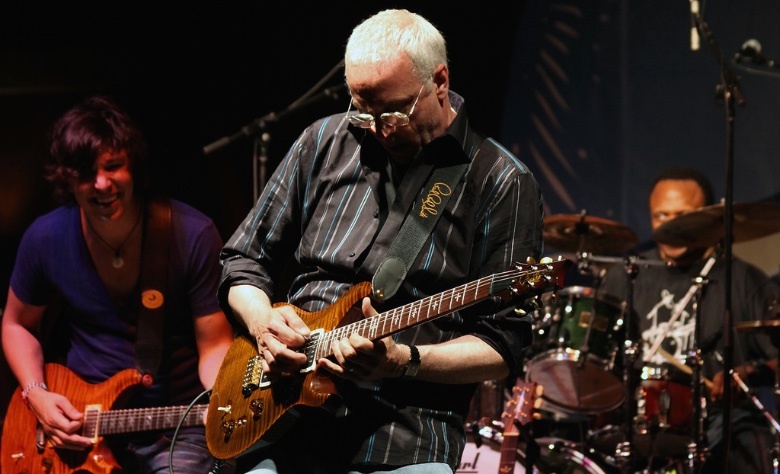 McCarty later became a consultant to Paul Reed Smith guitars and in 1994, the company named a model after him – the first time McCarty had had his name on the instrument to which he contributed so much. PRS was hit hard by the financial crash at the end of the last decade. Smith himself said he'd 'never worked harder in my life.' But by 2010, things were looking up and last year PRS bought its European distributor, allowing it to sell direct into markets like Germany and the UK, where PRS guitars are hugely popular. With the launch of its 2015 line-up only a few weeks away, PRS last week announced three additions to the S2 series, featuring the all-mahogany bodies for which the company is renowned. The new models, two 22-fret and one 24-fret design, are are solid body guitars with a choice of dot or bird fret inlays, nickel hardware and PRS' custom-built pickups. The future looks very loud indeed. or have a look at used PRS guitars on Reverb here.